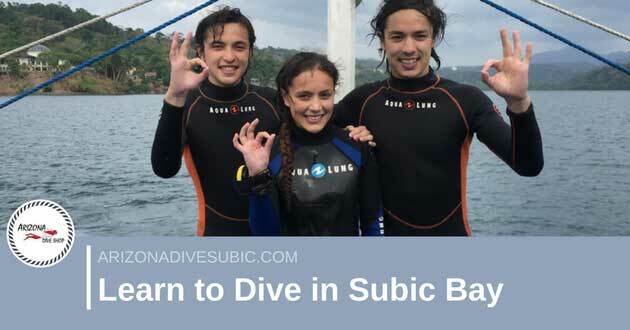 There are many attractions in Subic Bay, and foremost among them are the numerous dive sites in the area. If you’re a novice, you don’t have to worry because some of the dive sites are rather shallow and they can be great for novices because there are no currents or visibility problems whatsoever. But if you have never tried diving before, then that’s not a problem either. There are certified diving instructors here. Even if you are already a certified diver for open water, you can still get a few more certifications. PADI stands for Professional Association of Diving Instructors. Their courses for new divers are excellent ways of introducing you to the world of diving. Discover SCUBA Diving (Pool). This is the introductory course, and it helps you familiarize yourself with the equipment and with the feeling of being underwater. All the basics are covered here. Discover Scuba (Wreck or Reef). A wreck or a reef is typically closer to shore and they’re not often that deep. Here you’ll learn how to dive for real, and you’ll have to learn how to navigate and move around properly. This is crucial for wrecks and reefs where you can explore compartments and caves. PADI Open Water Dive Course. You can enroll in this course right away, as long as you’re at least 10 years old, in good physical health, and your swimming skills are sufficient. This course requires a few days to complete, but afterwards you get your certification. You’ll learn the basics, as well as diving in confined and open waters. If you already have an open water certification, there are still some advanced PADI courses you can take. Scuba Review (SR). This is a refresher course for those who think that their diving skills need some brushing up. If it has been awhile since your last dive, you may want to take advantage of this course. Diving is not like riding a bicycle. PADI Adventure Diver (AD). This is where you learn about different types of adventures underwater. Maybe you want to try suit diving, or perhaps you want to master how to identify fish. Or maybe you want to take lots of high-quality photos under the sea. Complete three dives and you can get your AD certification. PADI Advanced Open Water (AOW). Here you expand your knowledge and try out different specialties. You need to master deep diving and underwater navigation, along with other types of dives. Once you get your certification for AOW, you’re ready for the next level. You can now become adept at diving wrecks, diving deep, or become a certified rescue diver. These courses offer a deeper knowledge about certain aspects of SCUBA diving. PADI Nitrox (NX). Nitrox allows you to stay underwater longer. PADI Divemaster. Completing this course allows you to become an instructor. 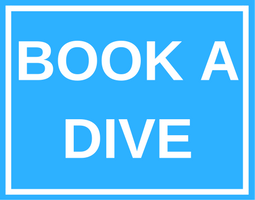 There may be some other specialty courses available, so make sure to check with your diving instructor.